I’ve gone a little bit over the top with buying Christmas decorations this year. I probably had enough already but I just cannot resist cute decorative bits! 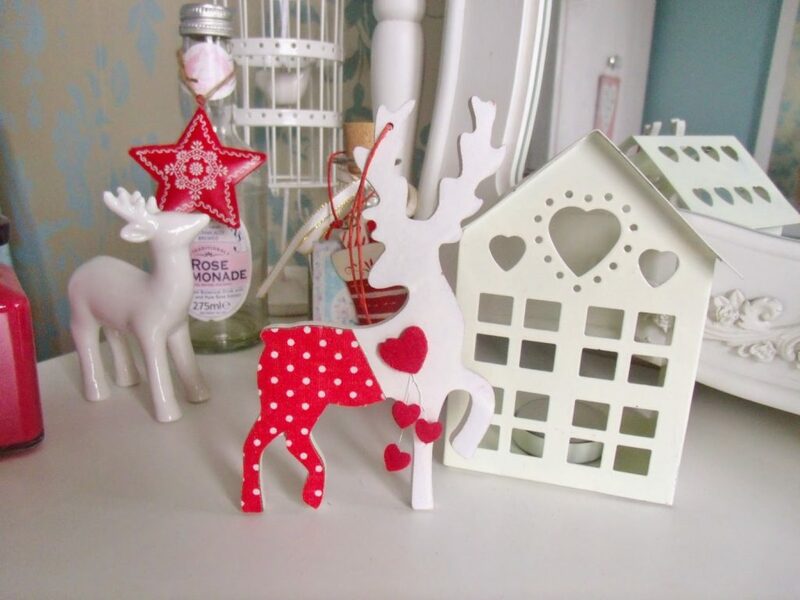 Our Christmas theme at home is red and white with nordic touches, and lots and lots of reindeer and stags! Here’s some of my favourite Christmas decorations I’ve purchased this year. 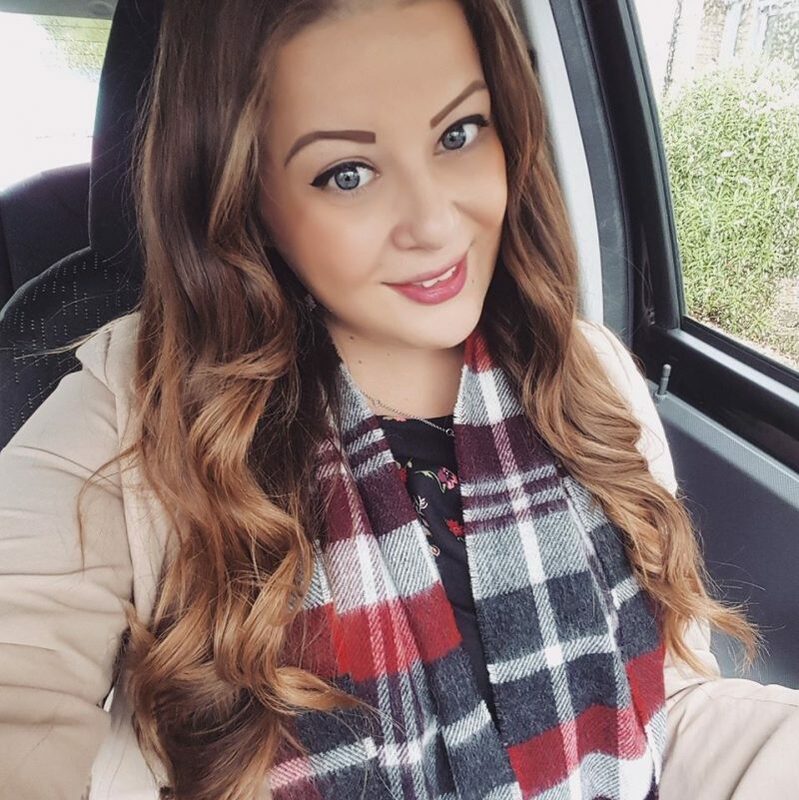 My next blog post will feature my Christmas tree and everything in it’s place! 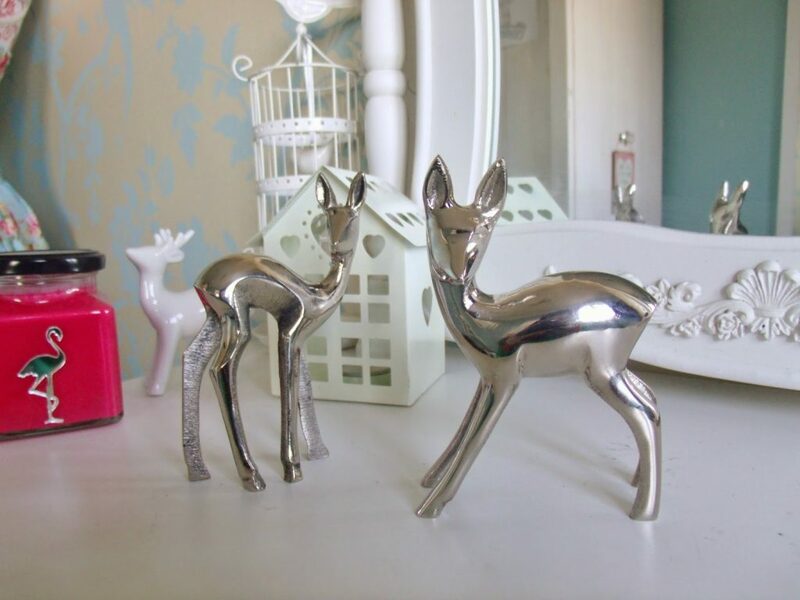 These two adorable little silver deer are so sweet and go perfectly with my metal stag that I recently featured. These look really lovely on the mantlepiece, windowsill or fireplace, and are lovely for Christmas but I may keep them out all year round! I spotted these amazing reindeer patterened glasses in Home Bargains last weekend. It was the last box available and unfortunately one was missing so I got three glasses for £1.49 rather than four for £1.99. Luckily there’s only three of us in the house! 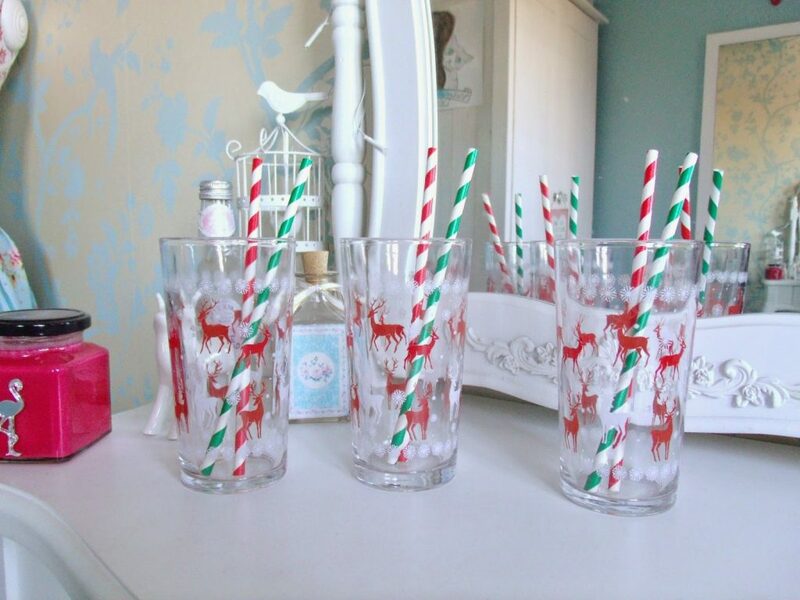 I couldn’t resist them for that price and I also bought the red and green stripey paper straws from to add a touch of vintage to them. They were also from Home Bargains and were only 99p for a pack of 25. 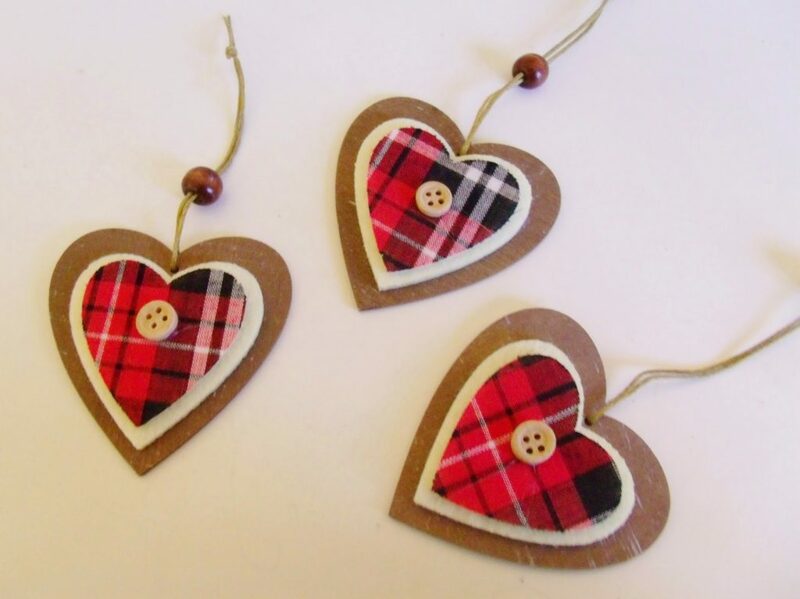 These little wooden hearts came in a set of three from Poundland and I really like the red tartan print and the cute little button embellishment! They also had star shaped ones too. 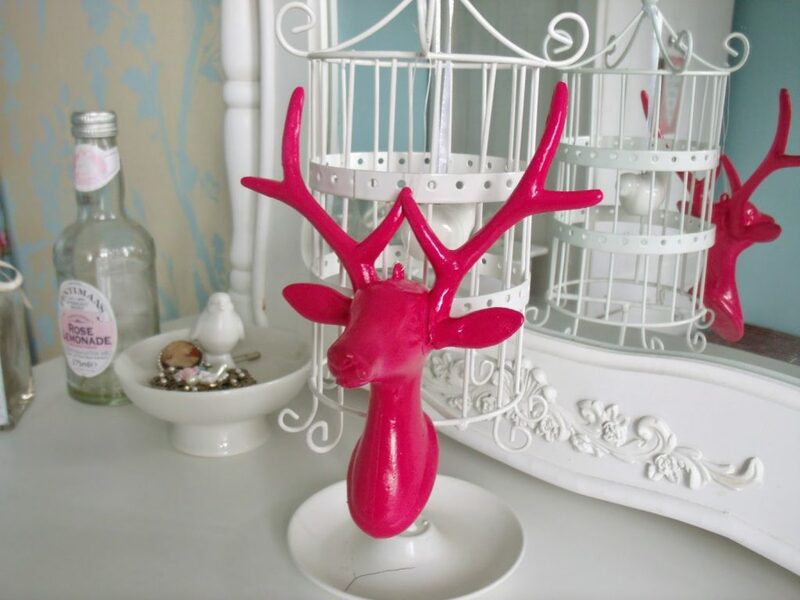 I bought this little stag head for only £1.50 from Wilko. It is meant to be a tree decoration but it’s quite large and the colour is a little bit garish and doesn’t match the theme. So instead I’ve stuck it to the wall above my mirror! 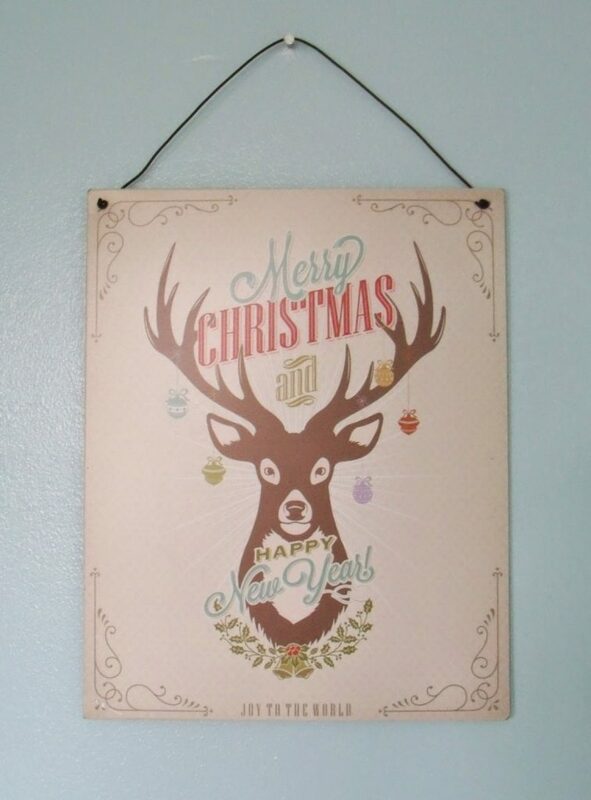 Another adorable reindeer decoration, this Merry Christmas metal plaque is quite big (about A5 sized) and it was only £1.49 from Home Bargains. I’ve hung my one up in our dining room. 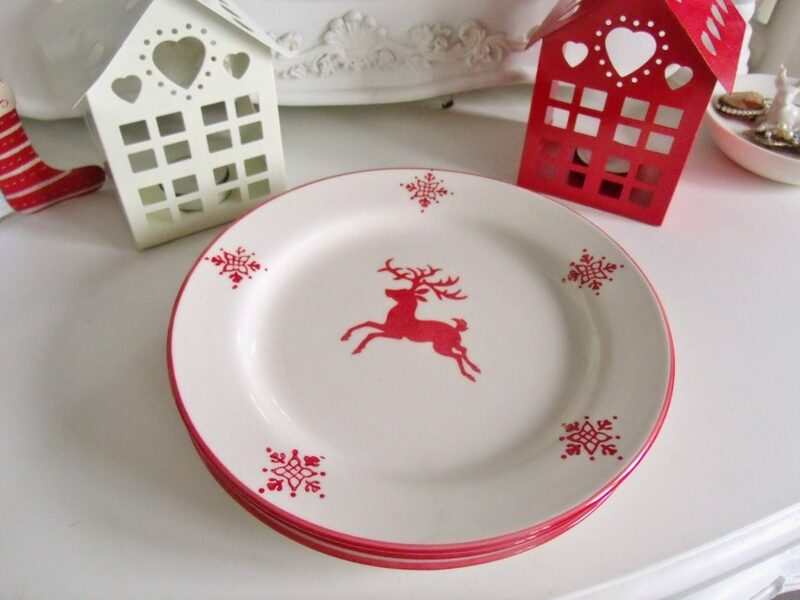 These deer painted side plates I bought from Pound World and I love them! They’re perfect for serving mince pies and other festive treats on. They were labelled as 2 for £1 but the till said they were 3 for £2 so I got three! I think I already featured these a few weeks ago possibly but here they are again! 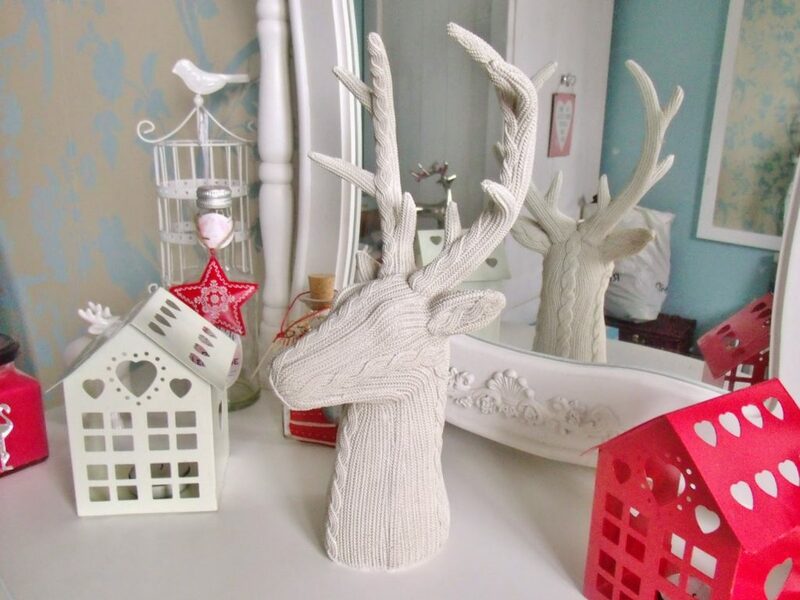 I bought this single wooden deer decoration from Home Bargains as it was only 79p and I couldn’t leave it. I love the little hearts on it and the polka dot bottom! 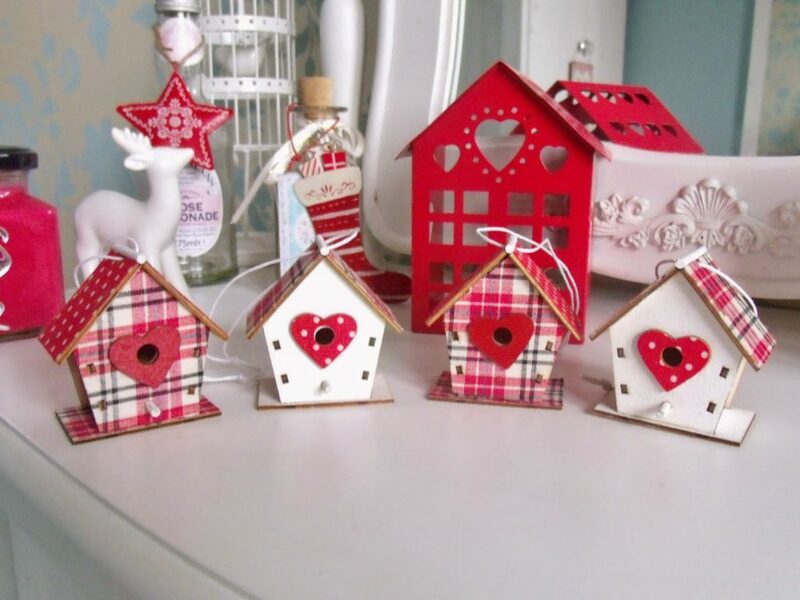 Again from Home Bargains, this set of four little wooden houses were only £1.49. 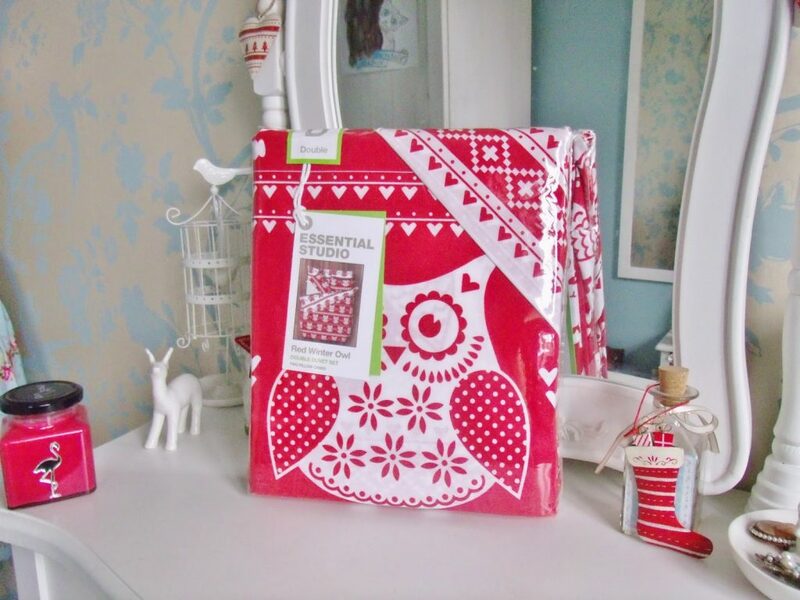 They have cute little heart shaped windows and check printed patterns all over in red and white so fits in nicely with my Christmas tree colours. Don’t buy this pretty red pillar candle. It may look nice and smell lovely but it leaves glitter EVERYWHERE. Literally everywhere! Once you whip off the clear plastic it’s like a glitter bomb has exploded. Beware! 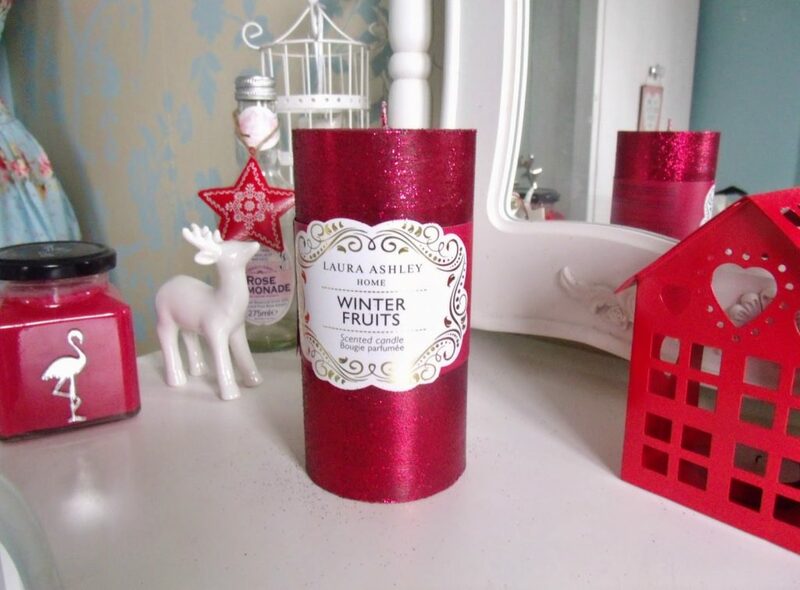 It’s from Laura Ashley and I received it as a freebie for one of their Christmas store events. I bought one of these cable knit stag heads as a present for Terri’s birthday and I liked it so much that I wanted to keep it! Luckily Liam bought one for me as a surprise pressie so I didn’t have to steal Terris! It is so cute and I plan on hanging jewellery from mine! This owl print bedding is just the cutest thing ever! It was 30% off from BHS for Black Friday and so I bought it for only £14. I plan on opening this up as a Christmas Eve treat! 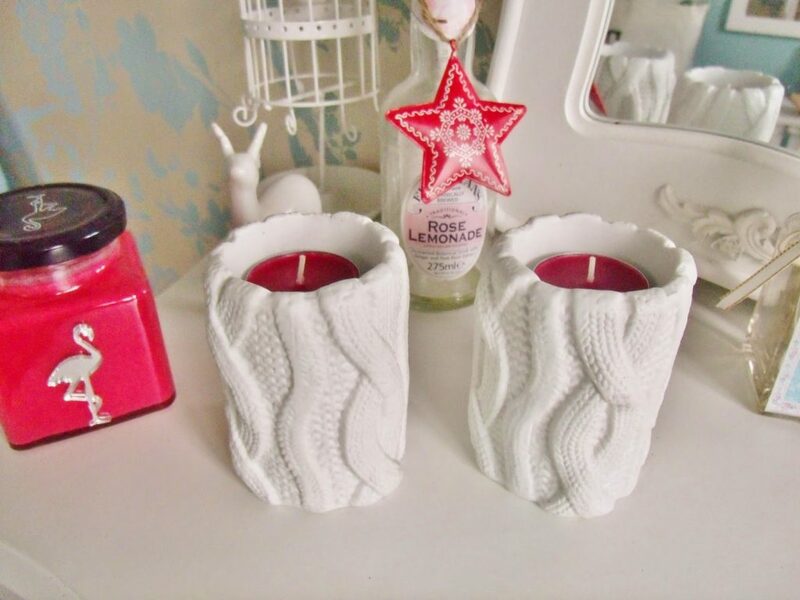 I love these little ceramic cable knitted pillar tea light holders from the Christmas Boutique. They also do a larger version but I love these and they’re perfect for my mulberry scented tea lights. And they match the stag head! 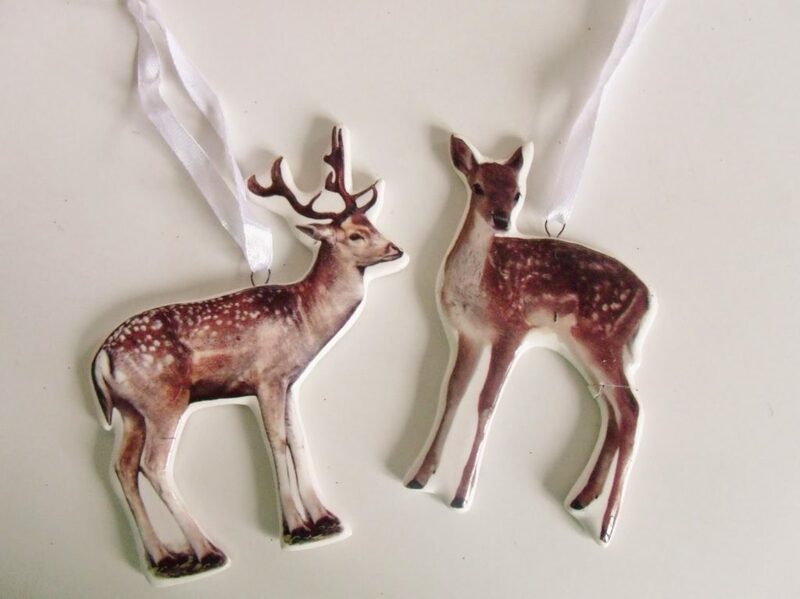 These two little deer tree decorations are so cute! The set features one stag and one little deer, and both are made from glossy printed ceramic and have a white satin ribbon attached so they can be hung up. 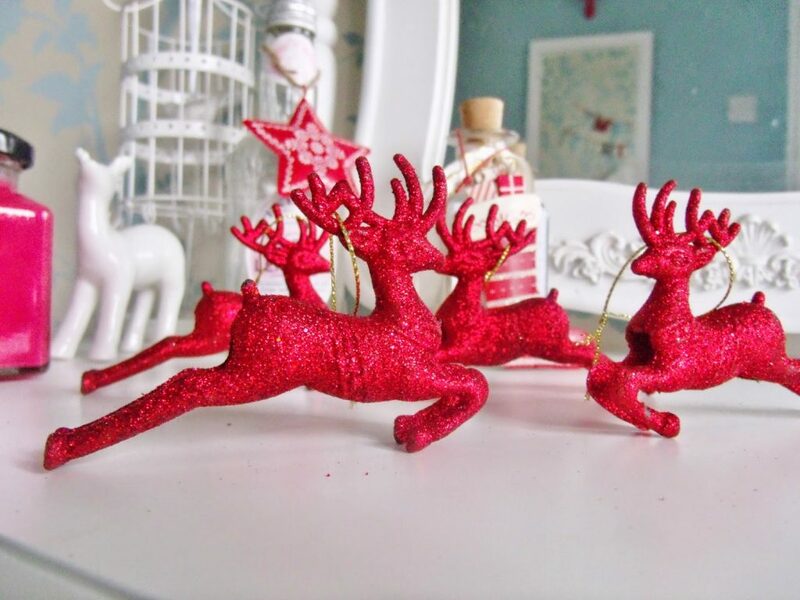 I bought this set of four red glitter stag decorations for only £1 from a local cheap shop called Boyes in Cambridgeshire (similar on eBay). They’re possibly my favourite tree decorations are they’re just so sparkly and cute! What’s better than a floral stag head? My two favourite things combined! 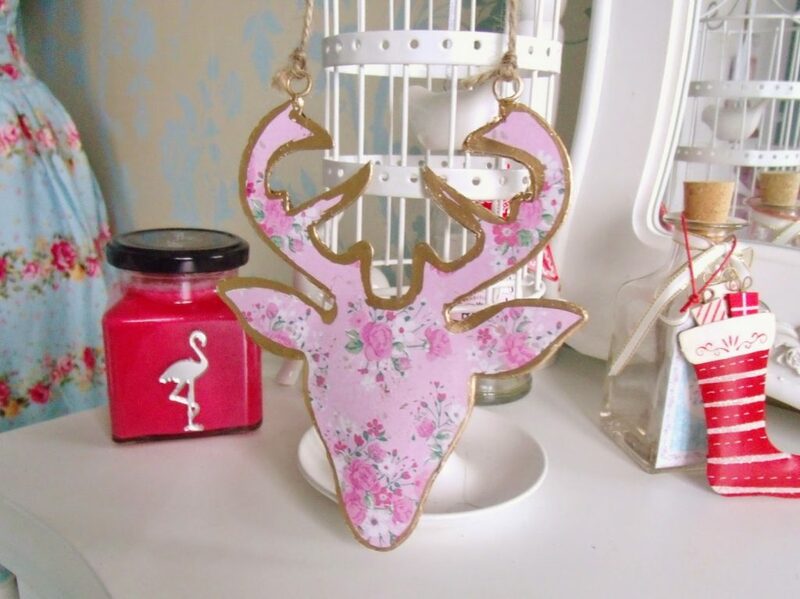 This metal hanging decoration is from Flamingo Gifts and is only £4.95. I love the pretty ditsy floral design and the gold rim. 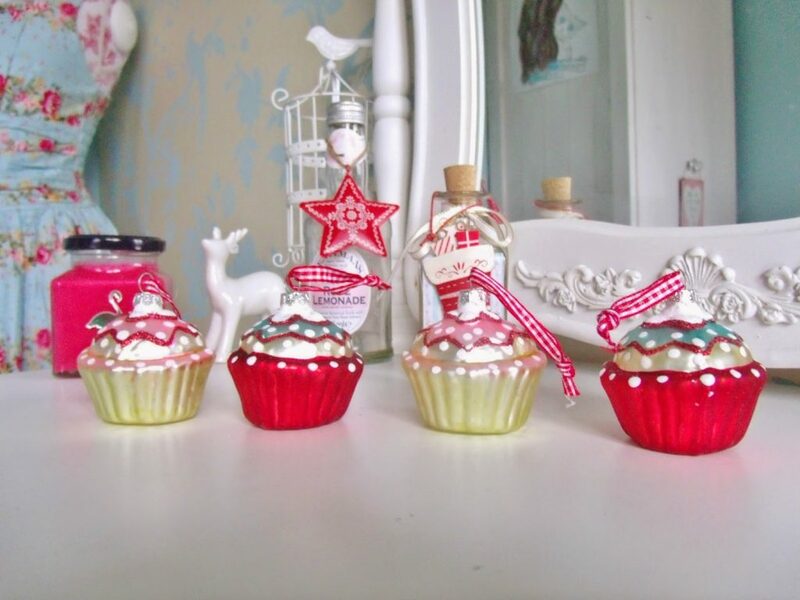 Another of my favourite things.. cupcakes! These festive designed glass baubles have a cute red gingham ribbon to tie them onto the tree and have been finished off with glitter. Yummy! 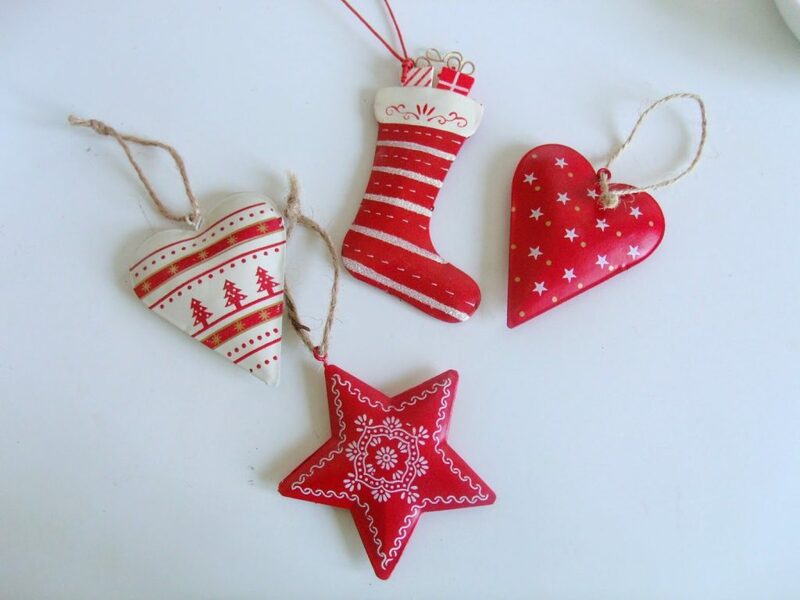 These cute nordic style Christmas tree decorations are from DotComGiftShop and were only only £1 from their sale! They’re all handpainted with pretty patterns and come in a range of shapes including hearts, stars, and stockings. I love everything, you have such good taste!